Observation - Liverwort? - UK and Ireland. Description: I think that this is a liverwort. The leaves were green on both sides. Found on the horizontal part of a grey barrel gravestone. 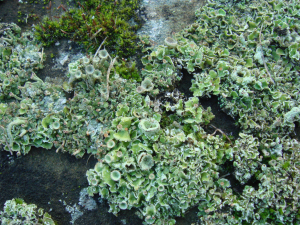 I think that this is a liverwort. The leaves were green on both sides. Found on the horizontal part of a grey barrel gravestone.